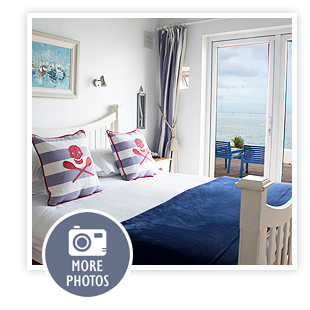 The Captains room is named after a popular swimming area in Skerries located at Red Island. This room has fantastic sea views for guests to enjoy, and double french doors leading directly to a guest terrace overlooking the sea below. This room enjoys a light and airy decor, and contains an ensuite shower room for guests.